MINNEAPOLIS (Hoodline) — Looking to try the top steakhouses around? Hoodline crunched the numbers to find the best high-end steakhouses in Minneapolis, using both Yelp data and our own secret sauce to produce a ranked list of where to venture next time you’re planning a special night out. Topping the list is The Capital Grille. Located at 801 Hennepin Ave. in Downtown West, it is the highest-rated upscale steakhouse in Minneapolis, boasting 4.5 stars out of 280 reviews on Yelp. This fine dining establishment has locations across the United States and offers a wide selection of steak and seafood, which can be paired with one of the many wines on offer. On the menu, offerings include the 8-ounce filet mignon, roasted swordfish with lump crab and mustard vinaigrette, and a porcini mushroom-rubbed bone-in rib-eye. Here’s the menu. Next up is Downtown West’s Manny’s Steakhouse, situated at 825 Marquette Ave. With four stars out of 690 reviews on Yelp, the steakhouse has proven to be a local favorite for those looking to indulge. Manny’s serves USDA-certified, dry-aged, center-cut beef that has been hand trimmed by master butchers. The menu reflects locally sourced ingredients and features chops, chicken and fresh vegetables. Try the shrimp cocktail, tuna tartare or a tenderloin steak salad for lunch. For dinner, options include two pounds of king crab legs, veal chops, filet mignon or a New York strip steak. 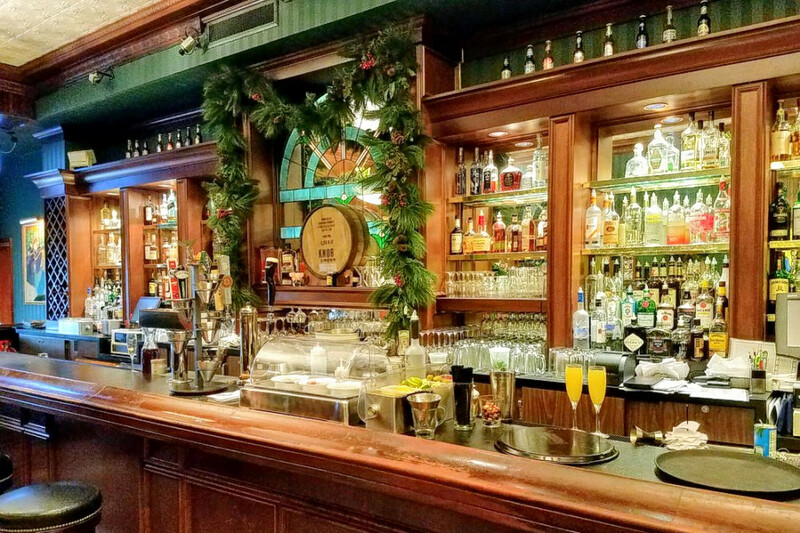 Downtown West’s Fogo de Chão Brazilian Steakhouse, located at 645 Hennepin Ave., is another top choice, with Yelpers giving the fancy steakhouse and Brazilian spot four stars out of 577 reviews. This international restaurant chain was established in Brazil and first made an appearance stateside in Dallas in 1997. 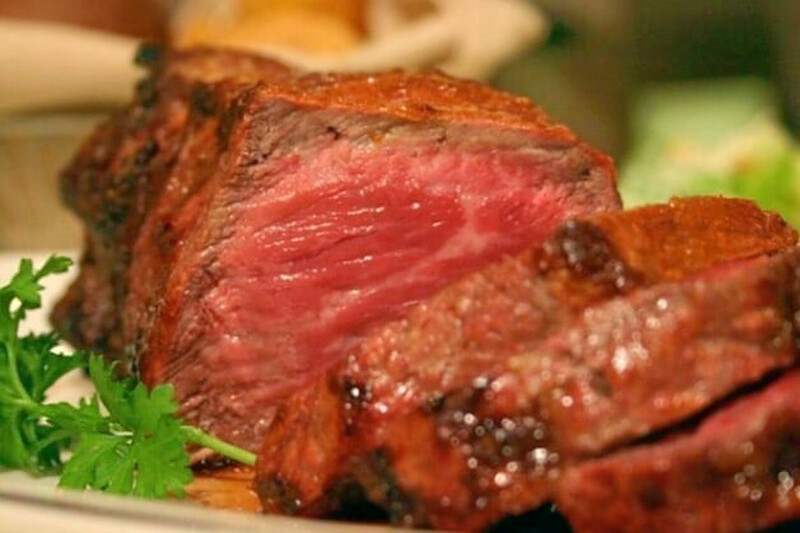 The churrascaria offers an array of flame-grilled meats that are sliced off skewers tableside. 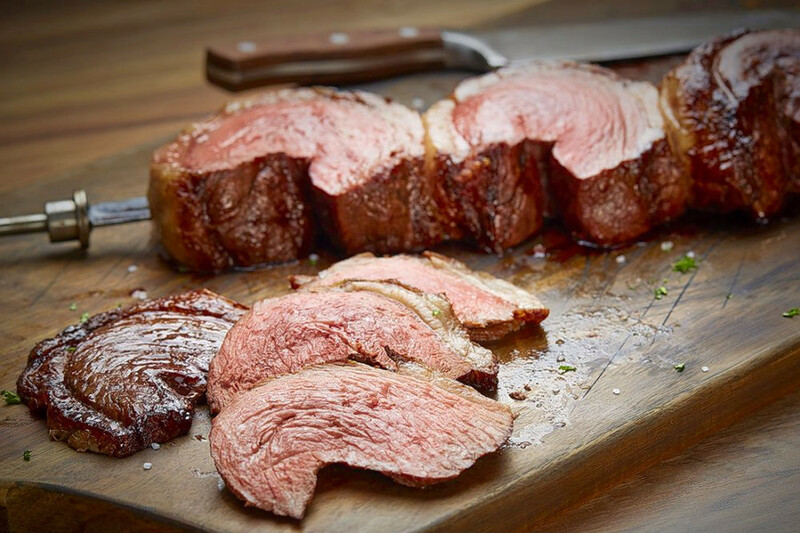 The menu includes Fogo de Chão’s signature steak, the picanha: the prime part of the top sirloin, sliced thin and seasoned with rock salt. Other cuts include filet mignon and fraldinha, or highly marbled bottom sirloin. Over in Downtown West, check out Murray’s, which has earned four stars out of 322 reviews on Yelp. Treat yourself at the steakhouse, lounge and traditional American spot by heading over to 26 S. Sixth St. This family-owned establishment is housed in one of the oldest buildings in Minneapolis and offers burgers, sandwiches, entrees, appetizers and more. Looking for a meal for two? 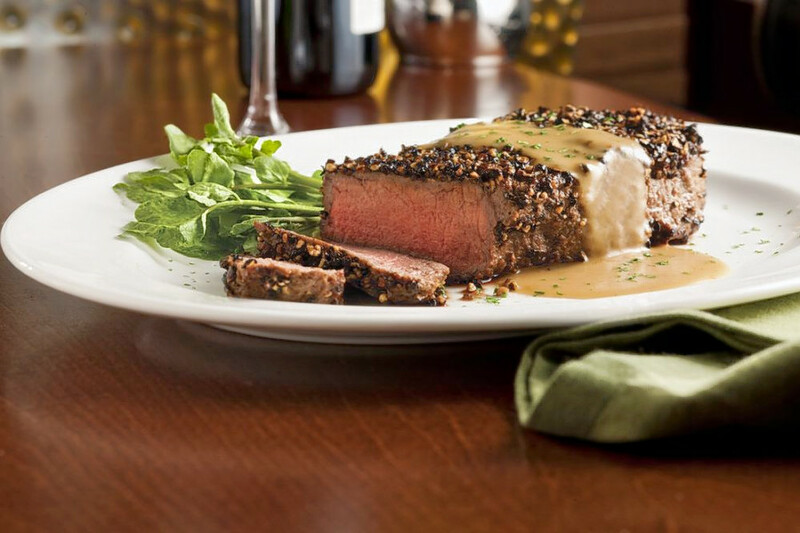 Try the 28-ounce strip sirloin that is hand-cut by the in-house butcher. Here’s the menu. Last but not least, there’s Jax Café, a Bottineau favorite with four stars out of 247 reviews. Stop by 1928 University Ave. NE to hit up the steakhouse next time you’re looking to go big. Jax Cafe was born in 1933 after prohibition ended and the spot was given a liquor license. 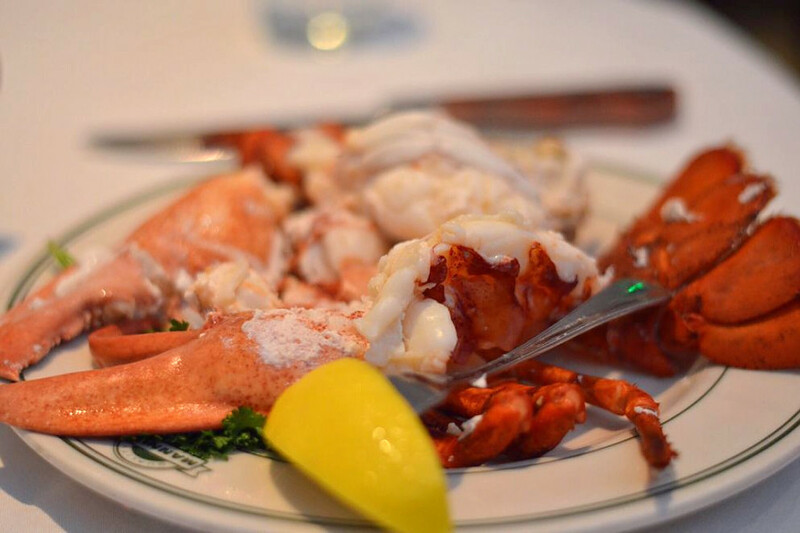 This place hosts large events, has Sunday brunch as well as Sunday lobster dinner. Lunch and dinner are both served with a variety of options, and libations including beer, wine and signature cocktails are on offer. On the menu, standout items include the 20-ounce prime rib, the smothered char-crusted rib-eye and the tournedos of beef tenderloin with bearnaise and bordelaise.